Home school law in Texas is among the best for home educators in the United States; here, people are still free. Texas leads the nation in the number of families who home school. THSC Association estimates that more than 150,000 families in the state have chosen this method of education and that, from these families, more than 350,000 children are being taught at home. THSC believes these numbers are conservative estimates given that home school students and parents do not have to register with any agency or department in order to legally home school. The numbers are compiled based on the number of students enrolled in home school support groups/co-ops, the number of people on the THSC email and direct mail lists, and the number of current THSC members. According to Digest of Education Statistics, a report from the US Department of Education, 1.77 million students between the ages of 5 and 17 years were home schooled in 2012. That’s an increase of 677,000 students since 2003! In other words, the number of children home schooled in the United States increased by 61.8 percent between 2003 and 2012. There was an especially large increase in home schooling numbers since the 1990’s and in Texas this is a result of the 1994 legalization of home schooling statewide. In 1999, NCES estimated the number of home schoolers in the U.S. at around 850,000 or 1.7 percent of U.S. students. According to this NCES report, 3.4 percent of all students are now home schooled. That’s equivalent to a 108.6 percent increase in the number of home schooled students between 1999 and 2012. How Does Home Schooling Compare? In numerous studies, home school students consistently score 30-35 percentage points above the national average as a group on national standardized tests. Many colleges and universities are recruiting home school graduates as they are academic and social leaders. The Texas Home School Coalition Association is a state advocacy organization for home school families in Texas. Our members receive legal assistance for issues related to home education. We work to maintain and defend home school freedoms in Texas, and we often intervene on behalf of our members to help educate state and local officials of the law regarding home education in Texas. 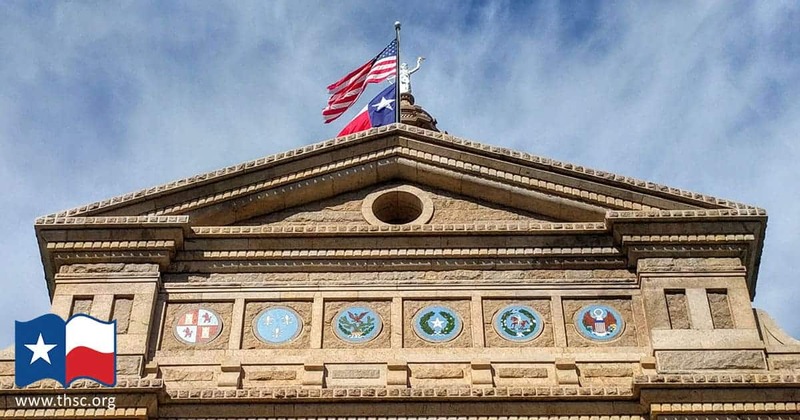 Home schools in Texas have been determined by the Texas courts to be private schools for the purpose of compulsory attendance, and private schools are not regulated by the state of Texas. Parents do not have to “register” with the state or local school district, and home school students are not required to be “enrolled” in an accredited program. There are no requirements such as teacher certification or curriculum approval. The ruling in the 1994 Leeper case from the Texas Supreme Court states that “a parent or one standing in parental authority” may educate a child. A home school may have whatever curricula the parents decide upon in whatever mode they choose, provided the curricula cover the five basic subjects of reading, spelling, grammar, math, and a study in good citizenship, and that the curricula are followed in a bone fide way (not a sham). Despite the legality of home education in Texas, many home school families have encountered problems when dealing with federal, state, and local agency officials. To address these issues, at the request of THSC Association, many of these agencies have issued memos or letters clarifying their policies and have instituted procedures regarding home education and the law. Most recently, Texas Education Agency Commissioner Mike Morath released his pro-home schooling statement which can be read here. Home schooling is not just a legitimate means of education. Many home schooling families find that their students do extremely well academically and go on to be quite successful as adults. A large number of home schooled students attend college. In 2004 the Texas legislature amended the Texas Education Code to require state-supported institutions of higher education to accept home school graduates without discrimination and on the same basis that their public school counterparts are accepted. Read a memo from the Texas commissioner of higher education to all Texas public institutions of higher education. On the state level, Texas requires state supported colleges to treat a homeschool graduate as a public high school graduate and to use the same criteria for admission as for public high school grads. In the last legislative session, SB 1543 was passed and signed into law to require state colleges not to discriminate against a home school graduate because of class rank. These actions by the legislature over decades indicate that the state of Texas believes that a homeschool graduate is equivalent to a public high school graduate and should be treated that way. In fact, the Texas Education Code says that the state views our graduates the same as a public high school graduate. You will find more answers to commonly asked questions on our FAQ page. For further media questions, please contact Stephen Howsley on the Public Policy Team by phone at (469) 759-0375 or by email at stephen.howsley@thsc.org.